Bronzing mistakes to shun: Guide to get that perfect sun-kissed look - Guest Post! | Sahrish Adeel - Malaysia based Pakistani Beauty & Lifestyle Blogger! Bronzing mistakes to shun: Guide to get that perfect sun-kissed look - Guest Post! 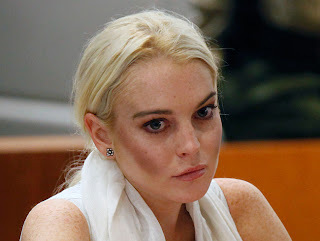 Using a bronzer for an evening party can get you those looks to die for. These stunning looks come on a condition and the condition is that you use the right shade the right way. Making mistakes in using a bronzer can make you look awful, instead of getting a stunning look you will end up looking messy, orange, muddy and absolutely fake. It is very important to choose the right shade of any makeup you apply. By right shade I mean the shades that suit your complexion. However there are so many appealing shades in the market and hence choosing the wrong shade can get really very easy. In the case of a bronzer you must keep in mind that a few shades such as dark orange, dark red and dark brown are not the right shades, these shades generally don’t suit anyone. Instead you can settle with shades that are more natural, such as caramel brown, pale beige and other natural shades. To look natural you do not need a bronzer with a lot of gloss, neither do you need to add gloss to your bronzer. A shimmer or a gloss will ruin your natural beauty. Using a plain bronzer is much better and more natural than the ones with a gloss. You wouldn’t want to look odd or fake with a shimmer on your face. So settling with the natural look is better. Too much of bronzer or layers of the product will look like a mask on your face. You want your face to be visible and not hidden behind the mask. Start with applying just a little bronzer on the apples of your cheeks, just a little bronzer along your hairline and a little over the bridge of your nose. Remember if you feel the bronzer is less you can darken it, but too much of application will make your face look awful. Now that you have added the beautiful tanned look to your face you must not leave your body undone. If you do so the color of your body and face will differ as the two matches. Use self tanners for your body. Mix the tanner in a moisturizer and apply it on your body to complete the look. Try applying the bronzer till you get its application right. In the start you might end up making mistakes, however finally you will succeed. Try practicing a day or two before the party so that you get it correct on the main day. Consider the tips above and get the application right. About the author: Alyssa Clarke is a blogger who enjoys writing on fashion and environment the most. She also happens to be an eco enthusiast and prefers using only eco friendly beauty products and make up. Thank you Alyssa for writing this helpful post. It was great to have you here.